[Blind Gossip] The Academy Award nominations came out this morning! Of course everyone associated with any movie or person who was nominated for anything is happy and thrilled and honored and proud. Well, except for this guy. He’s not dumb, though. He’ll definitely put the happy-thrilled-honored-proud message out there in public about the film getting a nomination. He absolutely wanted that directing nomination, though! 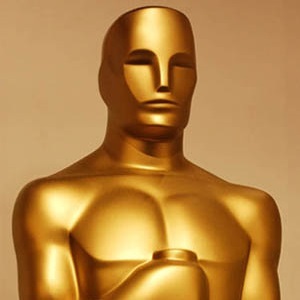 [Optional] You can find the complete list of Oscar nominations here. The major nominees are listed below. Any surprises in there? Sounds like Bradley didn’t get that director nom for A Star is Born that he was banking on. Bradley Cooper…….no nomination for director……. I’m sure that most people are thinking that it’s Bradley Cooper, but it’s more like that it’s Bryan Singer. Bryan was pretty much thanking himself on Twitter or Instagram for Bohemian Rhapsody winning a Golden Globe. The Academy is FINALLY getting out of its self-worshiping fishbowl of irrelevance taking Netflix, foreign films, and superhero films seriously. And while Cooper won 2 Directing awards from the Director’s guild, that actually surprised me b/c all the reviews of ASIB said the story/movie was ok but that acting made the movie shine – the acting is what drove the movie’s success. And that is what the Academy seems to have recognized with the Best Picture & Best Actor/Actress noms. Easy- Bradley Cooper. He should be feeling very lucky. I honestly do not understand the hype around this film. I saw it and thought it was okay at best. I don’t get the praise, nominations etc especially when compared to something like The Favourite. Not gonna lie, I thought Bradley would get the Best Director nomination. Also, I was a bit surprised that Timothee Chalamet was snubbed for Best Supporting Actor considering he got pretty much all the other important nominations. I’m really hoping for Roma and The Favourite to win! Nice to see Yalitza earn a nomination. Director/Movie: Bradley Cooper for A Star is Born. I was surprised that he didn’t get a nod since he was favored. But it was his first time directing so I’m not sure why he thought he deserved a nod so badly. The other directors in the category have been directing for years. Pretty obvious it’s Bradley Cooper. I was shocked too! That’s HIS movie. It got best picture nominated but not best director? No offense but he should get over himself. He made a remake of a remake of a remake. Nothing special. I’m really happy he got snubbed. Bohemian Rhapsody & Fox deserve NOTHING for enabling Bryan Singer for YEARS. That film’s success = Bryan Singer’s career’s success. Disgusting, ppl who stan BR can go choke. This has got to be Bradley Cooper from “A Star is Born”. I was trying to explain the plot to my husband this morning. His comment was, ” and THIS is the story that’s been remade 3 times?”.